According to the Show Daily distributed at the Expo this year, there were 1,824 exhibitors representing 36 countries filling close to 500,000 ft2 of the Georgia World Congress Center. About 35,000 people pre-registered to attend the industry expo. TACO won the Software Innovation Award this year for the Taco Tags featuring eLink™. This is a cloud-based support program that provides users in the field with a web-based, factory-maintained knowledge base on their phones or tablets. The IC chip is secured to pumps and is wrapped in silicone for durability. Every tag includes all vital information for the product, provides direct access to customer support and is connected to eLink where users can store and access order information, product specs, suggested replacement parts, CAD files, local sales rep information, and product management. Metraflex introduced the LPD-Mag, which is the lowest pressure drop Y-strainer on the market now upgraded with a magnet to catch iron oxides. People who were utilizing the redesigned Metraflex LPD Y strainer to take advantage of low-pressure drop were also using ECM motors. The powerful magnets in these motors were drawing in iron oxide into the seal area of the pump, causing seal failures. 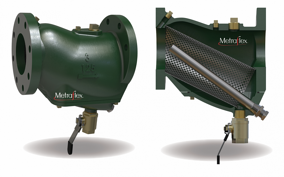 Metraflex added the magnet to the innovative design of the LPD Y-strainer to remove the iron oxide from the water. Raypak highlighted their Xvers Condensing Fire-Tube Boiler with touch screen and built-in Modbus RTU. You should definitely check out the Puropal Pro H2O Demineralizers. 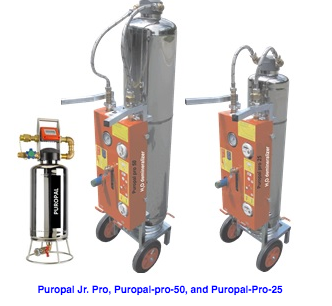 These help systems meet strict quality requirements from boiler and glycol manufacturers, remove aggressive salts, and remove aggressive scale-producing ions that damage components and block heat transfer. They have stainless steel housing, include conductivity and flow meter and are portable and easy to use. 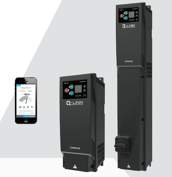 If you haven't seen the Q-Link Variable Frequency Drive, it's time you took a look! It's intuitive iOS and Android smartphone apps makes start-up and reporting a breeze. It has built-in damper control, R3 filtering for harmonic mitigation, and finger-safe terminals with cover removed. Best of all, we have these currently in-stock in our Greensboro, NC warehouse, so your wait time to get one of these is basically a day or two! The AHR Expo is always a fantastic showcase of the latest offerings in the HVAC world. These are only a few of the newest products from HVAC manufacturers. Talk to you local manufacturer's rep to find out more about the innovative ways manufacturers are solving commercial building problems and let us help you utilize all the resources at your fingertips to design smarter for more comfortable, efficient buildings.